-That 10 game losing streak at Indiana is finally over. -Another impressive road victory for the Heat, who had seven players score in double figures tonight. 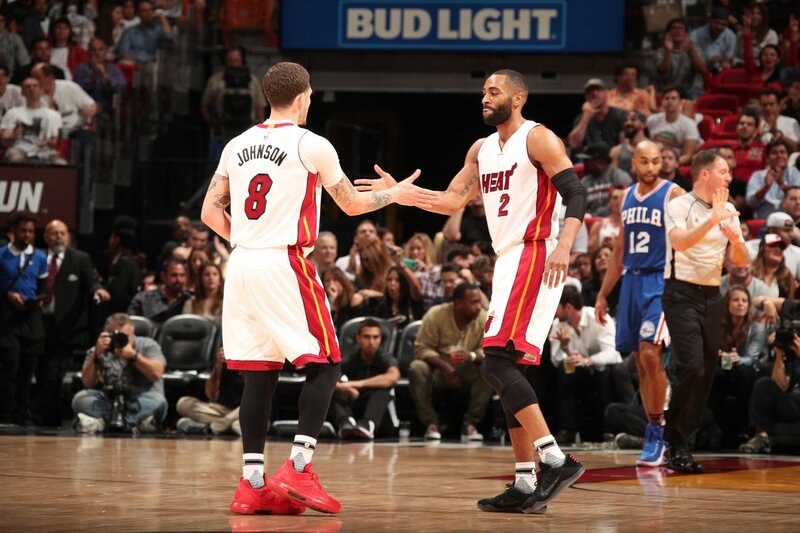 -The Heat now own the fourth-best record in the Eastern Conference, one game ahead of the 23-18 Washington Wizards. If the playoffs started today, the Heat would have home-court advantage in the first round. -Wayne Ellington came through in the clutch for the second straight game. This time hitting a dagger three with 23.2 seconds left extending the Heat's lead to six..
-Goran Dragic lead the Heat again with 20 points and nine assists. With Waiters out, Dragic has picked up his game. -Whiteside also played a huge role tonight with 16 points, 15 rebounds, and four blocks. Most importantly, the effort was there. -Miami outscored the Pacers 39-3 on three pointers tonight. The Heat shot 13-of-30 from the three point range, while the Pacers made just 1-of-18. -Bam continued to show his versatility tonight. While he didn’t have as many boards or blocks this time around, Bam was very active on both ends of the floor. He also recorded a career-high five assists. -Derrick Jones Jr. got the start again. He got off to a quick start by scoring Miami's first six points. With the way he's been contributing, it's looking more likely he gets the 15th spot once his two-way contract expires. -AJ Hammons doesn't appear to have a future with the Heat so they could look to move or waive him. - James Johnson served his one game suspension tonight. Prior to the game, Johnson tweeted an apology to fans, coaching staff, and the rest of the NBA. -Heat will have a couple of days off before taking on the Milwaukee Bucks on Sunday.